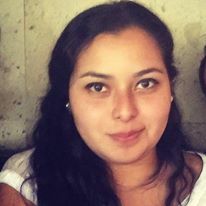 Andrea Moreno pursued her Postgraduate studies with Master’s in Organic Chemistry at the Faculty of Chemistry, Benemérita Universidad Autónoma de Puebla. She is passionate about the Green Chemistry, the development of environmentally improved routes, synthetic methods and processes to important products and the chemical aspects of renewable energy. Also, she is interested in the structural elucidation, green synthesis, X-ray crystallography, structure-NMR spectra relationship and mass spectrometry. Pollution must be taken seriously, because it reduced large reserves of water in the world, and acid rain deteriorated the health of forests, etc. Some chemicals were suspected of causing these problems. Consequently, there have been different proposals on the design, development and implementation of chemicals. These proposals benefit the economy; protect the population and the planet, thus achieving a reduction of waste, conserving energy. In addition, it is important to consider the life cycle of the reagents from the time they are obtained to the final disposal of the reagents. Solvent-free organic synthesis has expansive prospects as well as many advantages such as high efficiency, easy separation and purification and environmental acceptability. All these merits are in accord with the Green Chemistry’s requests of energy-saving, high efficiency and environmentally benign. Compounds containing an imine group are known to play an important role in living organisms, and some reports have established that the presence of imine or azomethine subunits in various natural, natural-derived, and non-natural compounds was critical to their biological activities. We are currently engaged in a program dedicated to the synthesis of small Schiff bases using a single-step solvent-free approach. We performed the preparation of three chiral imines 1, 2 and 3 derived from benzo[b]thiophene-2-carboxaldehyde and the optically active halogenated amines (S)-(-)-1-(4-fluorophenyl)ethylamine, (S)-(-)-1-(4-chlorophenyl)ethylamine and (S)-(-)-1-(4-bromophenyl)ethylamine, respectively in excellent yields. Augusto Rivera received his Bachelor’s in Chemistry and Doctorate degree from Universidad Nacional de Colombia in 1976 and Universidad de La Laguna at Tenerife, Spain in 1979 respectively. He returned (1980) to the Universidad Nacional de Colombia where he became Full Professor. He has over 150 publications that have been cited over 800 times, and his publication H-index is 16. His research interests are in the area of N-containing medium-ring compounds, design of novel aminals, new synthetic methodologies and solid-state organic reactions. Aminophenol-type Mannich bases are of great chemical and industrial interest due to their growing applicability for the production of new polymeric materials with excellent mechanical, thermal, photophysical, and catalytic properties. The reaction between the phenolic Mannich bases 1,3-bis[2’-hydroxybenzyl]imidazolidines and the macrocyclic aminal 1,3,6,8-tetraazatricyclo[4.4.1.13,8] dodecane (TATD) - a preformed Mannich base - was studied under solvent-free conditions. The solvent-free Mannich-type aromatic reaction between the macrocyclic aminal TATD and Mannich phenolic bases of the type 1,3-bis[2’-hydroxybenzyl]imidazolidine is a useful synthetic strategy for the high-efficiency production of medium ring-sized heterocalixarene-type compounds and linear oligomers which contains at least three benzylimidazolidine units. In addition, it was possible to get access to oligomers which could not be prepared via several different standard procedures. The 1,3-bis[2’-hydroxybenzyl]imidazolidines used were prepared by a solvent-free Mannich-type condensation between the macrocyclic aminal TATD and the appropriate phenol. Besides, macrocyclic aminal TATD was prepared and isolated in pure water in high yield and purity. The preparation of TATD in water becomes important due to environmental consideration. This is a simple method to prepare cyclic and linear oligomers in good yield and high purity under solvent-free conditions without the presence of any organic solvent or catalyst. Cacier Z Hadad has completed his PhD at the University of Chile. He is the Co-Head of the Theoretical Chemical Physics Group of the University of Antioquia, Colombia. He is author of many relevant papers about theoretical aspects and models of diverse physicochemical phenomena. Hydrogen is one of the most promising alternatives as clean fuel. This is because the energy, per unit of fuel mass, released in its reaction with oxygen is higher than that of gasoline, and the chemical product of this combustion is only water. Nevertheless, hydrogen storage methods are still inefficient and expensive. Ammonia borane (AB = H3N-BH3) has emerged as one of the most encouraging hydrogen storage materials due to its relative stability, its versatility, and its capacity of storing high hydrogen densities. However, a series of scientific and technological problems that prevent its use for this purpose remain to be solved. To name one, the methods known today for extracting hydrogen from AB are still insufficient: there is not yet one in which a total hydrogen release from AB is guaranteed at relatively low temperatures. To better address these and others current problems, it would be crucial to know, very precisely, what the structural nature and the intra- and intermolecular interactions involved in AB are. In this work, from a quantum-mechanics point of view, we contribute to this task, revealing important aspects not found by previous studies. A search for stable configurations was performed on the trimers, (AB)3, tetramers, (AB)4 and pentamers, (AB)5, of ammonia borane at high levels of theory. Very rich and complex potential energy surfaces, PESs, are obtained. Cyclic or compact configurations are energetically preferred. Four different types of non-conventional interactions are identified: heteropolar N-H... H-B dihydrogen bonds (the main stabilizing factor), homopolar B-H... H-B dihydrogen bonds, and B...H-N and N...HB hydrogen bonds. Donor-acceptor charge transfer in heteropolar dihydrogen bonds is the most stabilizing interaction, taking place between a ? bonding orbital and a* ? anti-bonding one. Despite H...H being a priori considered as weak interaction, stabilization energies in ammonia borane clusters are comparable to the interactions responsible for the stabilization of water clusters at the same level to theory. 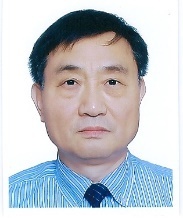 Chan Kyung Kim is a Professor and Chairman of the Department of Chemistry, Inha University located in Incheon, Korea. He is an active member of Brain Korea 21 Plus Project supported by the Ministry of Education, Science and Technology. His research is concentrated on the development and application of QSAR/QSPR method including MSEP for high energy density materials. He is also interested in the theoretical organic and inorganic chemistries to understand the structures and reactivity of chemical systems. Recently, his research is oriented on the design of carbon dioxide removal in the presence of N-methylaniline and silyl halides and conversion of carbon dioxide to some useful materials in the zeolite catalysts. Statement of the Problem: The dissolution of lignocellulose by ionic liquids attracted much attention during the last decade. However, the experimental screening and selection of a large number of potential ionic liquids for biomass processing are challenging tasks. Methodology & Theoretical Orientation: In this work, the prediction of cellulose dissolution in ionic liquids (ILs) was evaluated by quantitative structure-activity relationship (QSAR) model using the molecular descriptors of ionic liquid’s constitutional ions derived from Comprehensive Descriptors for Structural and Statistical Analysis (CODESSA) program. All the structures of individual cations and anions of ILs were optimized without constraint using B3LYP/6-31G(d,p) level in Gaussian 03 package and verified as minima by frequency calculations. The CODESSA package calculates various descriptors such as constitutional, topological, geometrical, electrostatic, quantum-chemical, and thermodynamic from the three-dimensional structures of molecules. 438 molecular descriptors were calculated for 80 different ILS in the data set. Findings: Two QSAR correlation models for cellulose solubility in ILs with respect to mass and molar percentages were developed. Both models include 13 molecular descriptors and were reliable as indicated by the considerably high R2 value for both training and test sets. Models based on cellulose molar solubility exhibited better correlation (R2 of 0.92 vs. 0.88) and predictability (R2 of 0.89 vs. 0.83) than those based on mass percentage solubility. Conclusion & Significance: These results indicated that the molecular descriptors of ILs could be effectively used to develop QSAR models for facilitating the in silico and a prior screening/selection of ILs customized for specific applications. Daniela Gutiérrez completed her Bachelor’s degree at the Universidad Autónoma de Puebla (México) in 2015. She is pursuing Master’s degree in Biochemistry and Molecular Biology. Her research interests are the synthesis of metallic complexes by using Green Chemistry methods and their application in the biology field. Statement of the Problem: Nowadays, reactions conducted in the absence of solvents under mild reaction conditions are becoming an important method in laboratories worldwide as an environment-friendly technique for the efficient syntheses of organic molecules. The main advantages of solvent-free organic synthesis are shorter reaction times, minimum waste and generally higher yields, operational simplicity as well as reduction of thermal degradative byproducts along with cleaner work-up. Methodology: The preparation of two chiral imines derived from 2-piridylcarboxaldehyde and the optically active primary aromatic amine (S)-(-)-1-(4-methylphenyl) ethylamine and (S)-(-)-1-(4-metoxyphenyl) ethylamine by solvent-free techniques. Findings: The ligands obtained were allowed to coordinate with Zn(II) also under solvent-free conditions affording complexes 1 and 2, respectively. The products were characterized by using spectroscopic techniques (FT-IR, NMR H and C, EI-MS) and the structure of the Zn(ll) complexes was fully confirmed by X-ray diffraction studies. The antimicrobial activity of the complexes (I)–(III) was evaluated against Gram positive (Staphylococcus aureus) and Gram negative (E. coli, Pseudomonas aeruginosa) bacteria, and yeast (Candida albicans). Conclusion & Significance: The complexes were found to possess noteworthy antimicrobial activity. Gloria E Moreno obtained her PhD in Chemical Sciences at the Universidad Autónoma de Puebla. She has experience in research and teaching at the Faculty of Chemistry Engineering and she is one of the members of the Laboratorio de Síntesis de Complejos. Her research interests include the synthesis and characterization of organometallic compounds by using Green Chemistry methods. Statement of the Problem: Schiff base compounds are widely studied and used, attracting much attention in both organic synthesis and metal ion complexation. Recently we have focused our attention on the synthesis of chiral Schiff bases by using green techniques. Methodology: We synthesized a new chiral imine using the solvent-free approach. The reaction occurs under mild conditions and requires easier workup procedures and simpler equipment, compared to similar reactions carried-out in solution. On the other hand, the ever increasing interest in Pd(II) complexes stems from their useful applications in many areas such as materials science, determination of enantiomeric excesses and absolute configuration of chiral compounds, asymmetric synthesis, etc. Findings: The reaction of the enantiopure imine ligand leads to the formation of a new palladium complex, and both the compounds have been characterized by IR, 1H and 13C NMR, MS-FAB+. The crystal and molecular structure for the palladium complex derived from imine obtained with biphenyl-2-carboxaldehyde and S-(-)-4-methoxymethylbencylamine, has been confirmed by X-ray analysis. Further discussion on these complexes will be provided.